This issue’s cover is from Nicola Bayley’s latest title, The Necessary Cat (© Nicola Bayley 1998). Nicola Bayley is interviewed by Joanna Carey. Thanks to Walker Books for their help in producing this September cover. 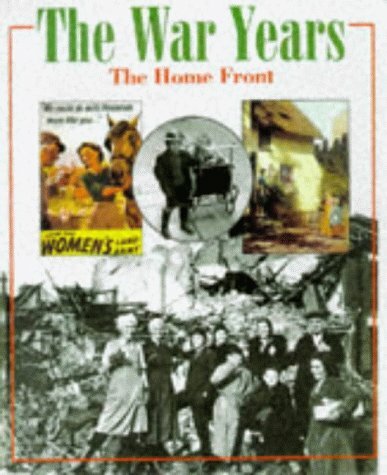 Moses surveys how British civilians, particularly women and children, fared during the Second World War in this large format title. It is a clear account, suitable for 8-13 year olds, with interesting details and an empathy for the lives of ordinary people in an extraordinary time: a time that brought greater opportunities and put family ties under severe strain. Much of the story is told by the photographs and posters that surround the text and the quotations from autobiographies and novels within it. Here and there, there is a scrap of a popular song. It is an approach that suits the theme of a 'people's war' and allows a variety of experiences to be represented, including two sections on life in the occupied Channel Islands. It is a pity that the books to read section is overloaded with Wayland titles. There are occasional errors which should have been corrected between the hardback publication and the paperback: Children's House for Children's Hour, for instance. It would have been good, too, to make clear where Moses was using quotations from children's novels.